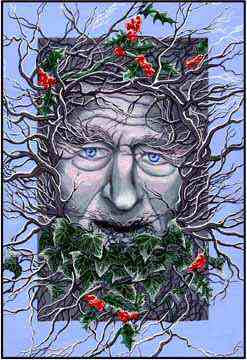 At Litha (Summer Solstice), the Oak King is defeated and his crown tumbles to the earth. 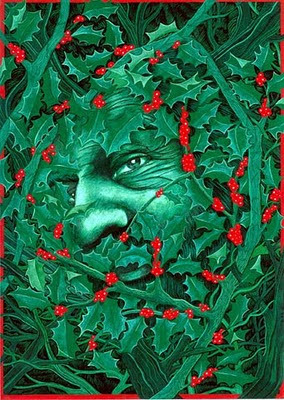 Since then, the Holly King has ruled the land, remaining green and vibrant, while we are plunged into darkening days and cold. 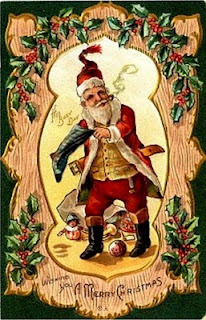 Bulb and seed lay dormant, and animals and people alike, have hunted and foraged and made quick shelter of Mother's gifts and rested in her embrace, but the Holly King's power ebbs. 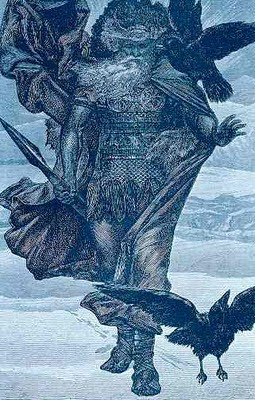 The Oak King returns to fight his brother (his same self). 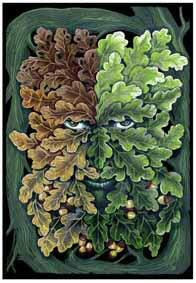 For five days the two will fight and on Solstice, the Oak King will be reborn, and then grow stronger in the increasing light and warmth, his leafy crown of gold restored, bearing his own fruit by Lughnasadh (August 1). 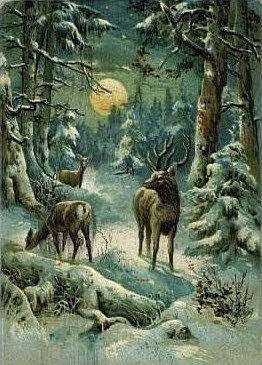 This is Yule, the death and rebirth, the dark becoming light. 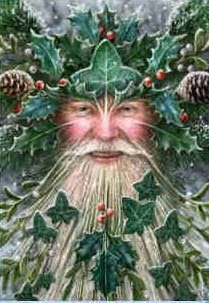 We know the Holly King as Santa Claus, Herne The Hunter, and Odin. 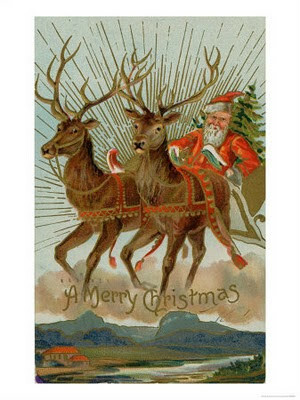 He lives in the bitter cold, where the days are short, among eight horned stags, who drive his solar chariot across the sky. 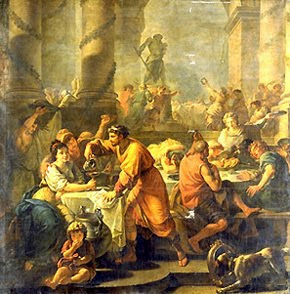 We revel in abundance and relenquish the last of our stores to feast and share our gifts with others, knowing that abundance will be ours once again. 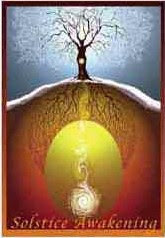 Wassail, cider and egg, we offer to our fruit and nut bearing trees, singing to them prayers of fertility. 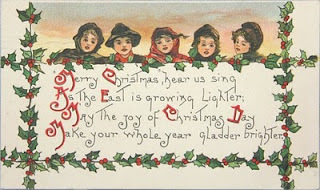 The Twelve Days of Yule are upon us, let us be merry!